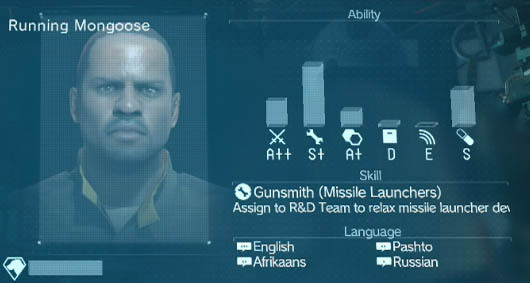 S rank soldiers provide a massive level boost for Mother Base but they're a very rare occurrence in The Phantom Pain. In this guide I'll show you exactly where to hunt for them and explain how they spawn in the game. Towards the end of the game you're probably interested in those high level development projects such as the Wormhole Fulton and non-lethal semi-auto sniper rifle. To reach those insanely high R&D levels you'll need two things: a fully expanded base and many high ranking staff members. The first of those requires a tonne of resources, most notably Fuel Resources and Common Metal. These can take a while to acquire but more importantly you need a full list of at least A++ or S ranked staff members. As you can guess from the heading, very high ranking soldiers don't spawn in particular missions, but rather at the will of the RnG gods (randomly). The actual chance of them appearing is calculated from you the result of your Heroism, game completion percentage and a random generator. Therefore, unless you're over 60% of the way through the game and have acquired well in excess of 100,000 Heroism Points, you're unlikely to find many, if any, S rank soldiers (besides story critical characters and specialists). The video below shows a Side Op when my Overall Progress was 55% and Heroism 120,000. Roughly, 1 or 2 S Rank soldiers would appear every time I repeated the Side Op, each solider having an S Rank in a different area. Until I reached this game completion milestone, only A rank soldiers would spawn. 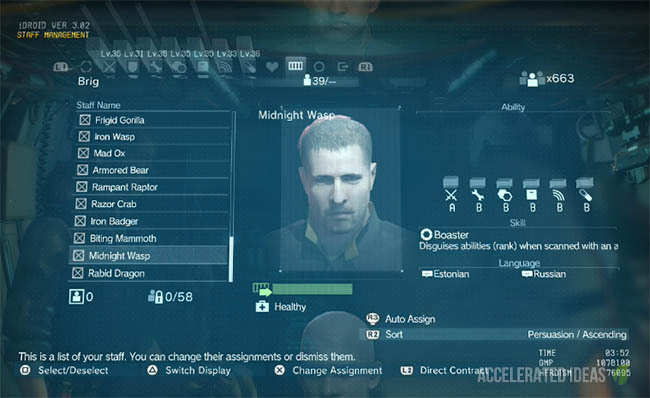 Every mission has a set of Skills and Specialists that you can find and unlock by fultoning soldiers back to base. Interrogation is key to finding the location of these soldiers. For every Specialist you rescue there's a chance that they'll come with a very high rank in a particular area. Unfortunately you won't know this until the mission is complete (unless you've unlocked the high level analyser) and you can't recapture specialists after a mission is complete. Now that you understand the requirements for S rank soldiers to appear, the next objective is to decide which mission provides the best farming options. By far the best Mission in my experience is Mission 30 "Skull Face". There are a high number of enemies on this level (30+) and the journey time is low. Having a large number of foes improves the chance that an S rank soldier will spawn into the area. This mission also includes many resource containers, tanks and mechs which you can fulton back to base as an added bonus. Simply repeat this mission as many times as possible, preferably at night, to find those elusive S ranked kings. Use the analyser to pick out only high ranking soldiers and leave the rest asleep on the floor. D-Dog, sleep grenades and a non-lethal sniper are enough to get through this mission fairly quickly. Some of the end game missions (35+) will reward you with Legendary Soliders (S, S+ and S++) should you achieve a high enough ranking, in particular an S rank. A good example of this is Mission 46 which is considered an End Game and also a "secret" mission. 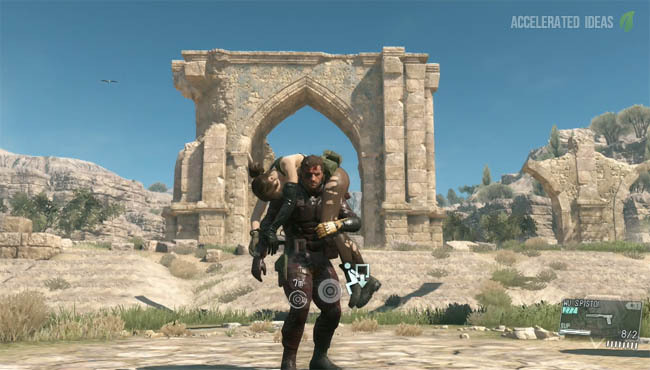 Completing this mission with an S rank is relatively easy and the rewards are substantial. 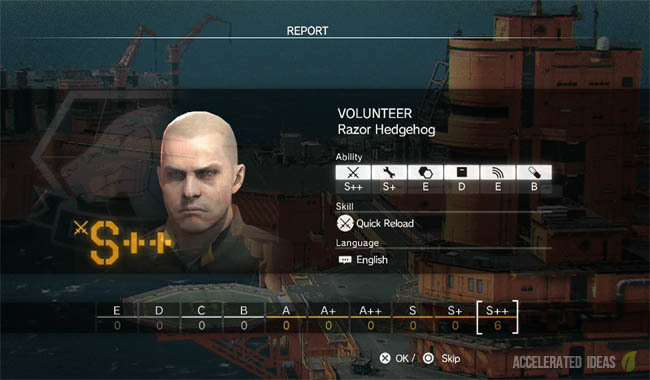 At the end of the alternate cutscene, players will receive a handful of S rank soliders, one for each of your Mother Base teams e.g. Intel, R&D etc. 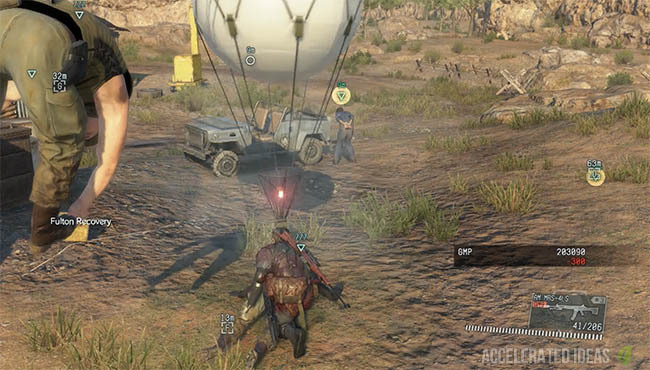 Other missions will also reward you with a steady stream of recruits and increasing your mission rank will increase your chance of S rank recruits.